In a stunning announcement on September 16, international mining giant Anglo American said it was abandoning its claim to the Pebble deposit in order to pursue projects with less risk and more value. While that is a huge victory for those of us who desire to protect the wild salmon runs of Bristol Bay from the development risks posed by Pebble, Northern Dynasty, the remaining partner in the Pebble Partnership, has indicated it still fully intends to pursue the Pebble Mine. Pebble, according to the Environmental Protection Agency and the Northern Dynasty’s own plans, would destroy up to 90 miles of salmon streams and up 4,800 acres of wetland salmon spawning habitat – even if nothing ever went wrong. I am convinced that Murphy is lurking: odds are too great that something can go wrong and will go wrong. The news of Anglo American’s decision to abandon the Pebble project comes just after over 650,000 people expressed support for protecting Bristol Bay during on the Environmental Protection Agencies’ most recent round of public comment on its second version of the Bristol Bay Watershed Assessment. Three out of four people who commented on the Assessment believed that the EPA was right in examining the effects of large-scale hard rock mining on this valuable fishery. Interestingly enough, in Alaska, a State generally known for firm support of developing extractive industries, the numbers are even more convincing. Statewide, 84 percent of Alaskan commenters supported EPA’s scientific process and subsequent protective action via the Clean Water Act. This level of support for conservation measures does not come along every day in the Last Frontier. And even more incredible, 98 percent of the comments submitted by residents of the Bristol Bay region were in support of the EPA’s work. There have been several U.S. House of Representative Committee Hearings in the past few months about Pebble and the issue will likely continue to receive this type of national attention. 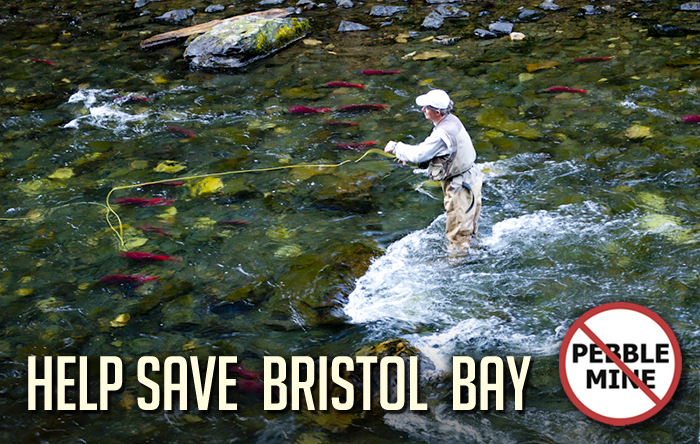 Those of us who treasure the salmon runs and wilderness of Bristol Bay must remain vigilant. Trout Unlimited (TU), through public awareness and political action campaigns, has been and continues to be a standard bearer of the effort to protect Bristol Bay. I personally have been to Washington D.C. to lobby representatives and government agencies through the coordinated efforts of the brilliant and committed staff of TU. I am convinced the TU effort has and will continue to be effective. 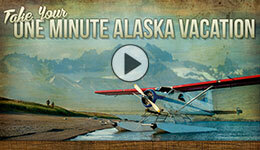 Donate to protect Bristol Bay and double your money. For those who are philanthropically inclined as the year draws to a close, please be aware of an opportunity to make a donation to TU and protect Bristol Bay. Trout Unlimited’s Save Bristol Bay program has been offered a challenge grant from a major supporter for efforts to protect Bristol Bay. That means they will give a matching contribution for every dollar donated by individuals and businesses from now through December 31st (up to $200,000). All donations will go directly to Trout Unlimited’s work to protect Bristol Bay’s fish, wildlife and renewable resources from the risks posed by Pebble. Your donation will be doubled to help protect one of America’s best places to fish. You will help sustain the things that make Alaska so great for future generations to enjoy: clean water, local renewable resource based jobs, and epic fishing.